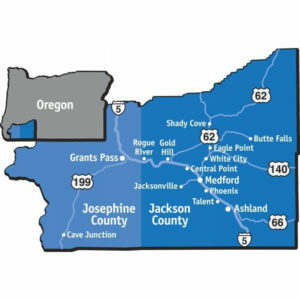 Originally a U.S. army training camp, the community of White City is located at the junction of Oregon Routes 62 and 140, approximately 9 miles north of Medford. Amenities include a number of shops, grocery stores, espresso and coffee bars, and service providers. 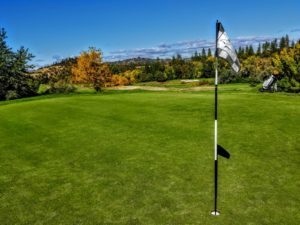 Residents also enjoy visiting the Agate Desert Preserve, a 53-acre native Rogue River Valley grassland, and viewing wildlife from the self-guided trails at the Denman Wildlife Area. Located near the wildlife preserve on the banks of the Rogue River is the TouVelle State Recreation Site, a day-use state park featuring picnic shelters, fishing sites, boat ramps, and hiking trails. Houses and lots for sale in White City include small to medium-sized, single-family homes and multi-acre lots perfect for horse farming.